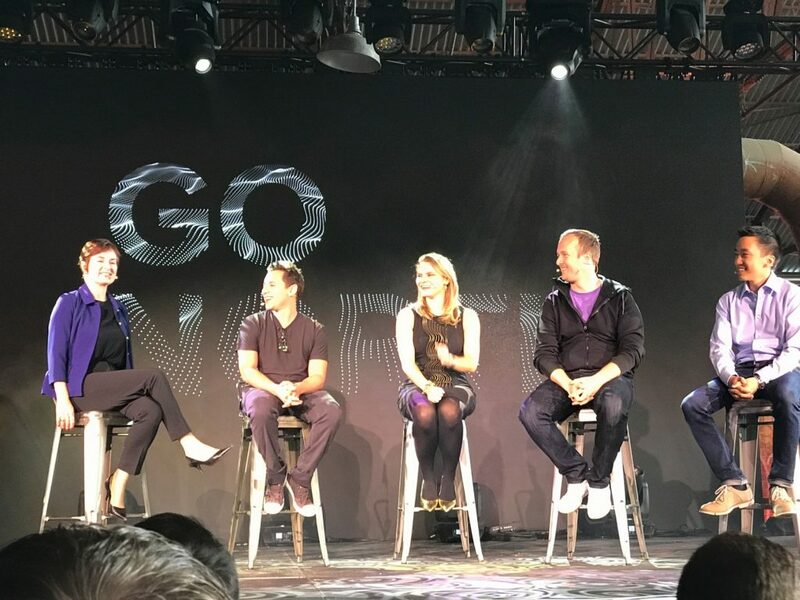 At last month’s Go North Tech Summit, sponsored by Google Canada, various successful Canadian startups lent their time to speak to a crowd of founders and entrepreneurs on various aspects of startup life and success. I learned a lot at the event, which took place in the Evergreen Brick works, right off the Don Valley Parkway in Toronto, which was transformed into a creative space ideal for demos and interaction. Much of the focus of the discussion was on the struggles, perceived or actual, faced by Canadian startups here or in Silicon Valley. 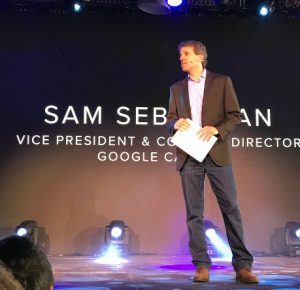 “The Canadian startup scene is electrifying,” said Google Canada’s Managing Director Sam Sebastian who opened up the summit by citing some of the unique success stories from Canadian innovators. Sebastian explained that next to Silicon Valley, “the Toronto-Waterloo Corridor has the most number of start-ups. 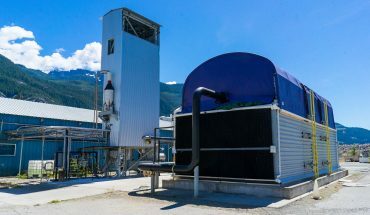 Of course, there’s a deep history of Canadian innovation, specially in technology where companies like Nortel and RIM (Research In Motion) were giants in their particular fields. Speaking of RIM, founder and BlackBerry inventor Mike Lazaridis took to the stage for a rare and intimate fireside chat. 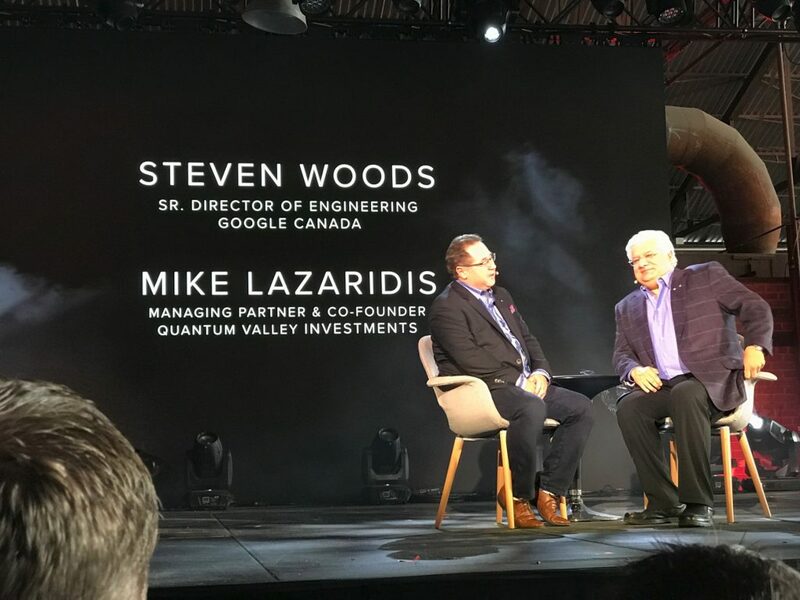 Now an investor, philanthropist and champion of quantum computing technologies, Lazaridis had a lot of useful insights for start-ups in Canada, often reflecting his own experiences and struggles as RIM evolved from a small shop on top of a bagel store into one of the most valuable companies. 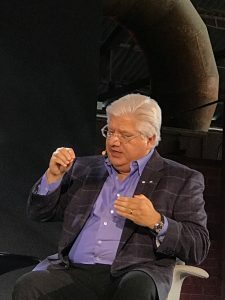 Lazaridis said that the University of Waterloo was a Math Factory, with over 6,000 students in the Math program which is the largest in the world. 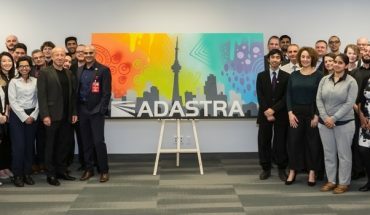 Other guests noted that there is an abundance of top shelf engineering students in Waterloo as well as other Canadian universities but only a very small percentage of them remain in Canada, most opt to find their fortune in Silicon Valley. Lazaridis had some good advice for founders of new start-ups. “The most important things for start-ups are its employees. What makes a company successful is it s management. Management needs to hire and retain the very best talent,” Lazaridis pointed out. Next up in the morning session was a panel of superstar Canadian start-up founders including Harley Finkelstein from Shopify, Kik’s Ted Livingston, Hongwei Liu of Mappedin and Buytopia‘s Michelle Romanow. Harley Finkelstein, CEO Canadian e-commerce darling Shopify noted that a lot of the problems for start-ups come from the idea that Canada needs to emulate Silicon Valley’s model. “We don’t need to become Silicon Valley North, let’s leverage what we do have here.” Finkelstein added that the spirit of community, collaboration and goodwill is something distinctly Canadian. A sentiment that was echoed across the hall since many of the attendees knew each other and had benefited from collaboration and sharing of resources. 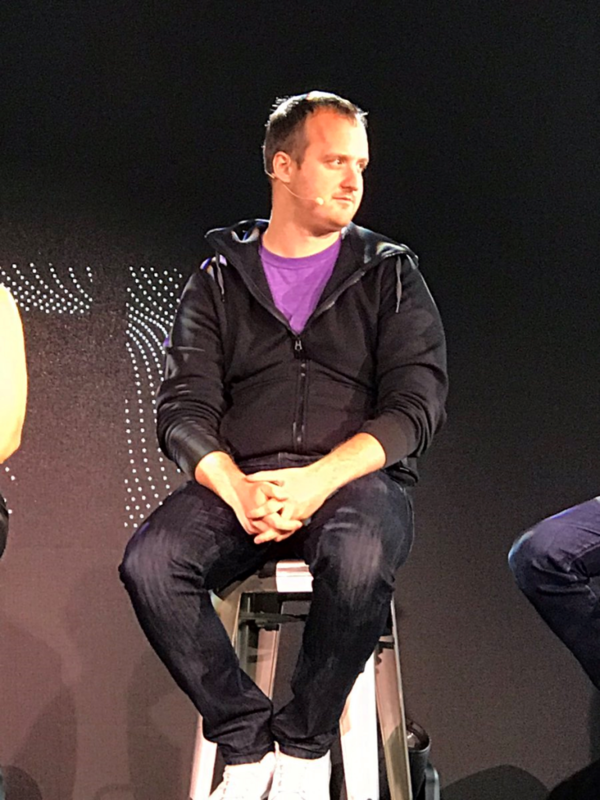 “In canada, people are more upfront and honest,” explained Kik’s Ted Livingston. “Canadians put things ont the table,” and are more collaborative than your average Silicon Valley-type personality. 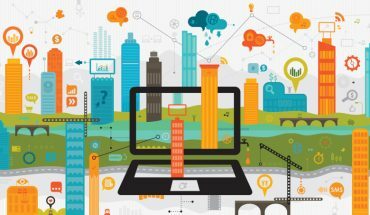 While many start-ups manage to get capable engineers and designers, one of the major issues for companies scaling up is getting senior management. Various attendees lamented that attracting top management talent to Toronto and Waterloo was a big challenge for growth companies. Specially when many of these top-flight executives can easily land plum jobs in San Francisco, New York or Los Angeles. One possible answer to attract top executive talent is for government to come up with incentives to attract and keep these necessary executives. These were just some of the highlights of Google’s GO North summit.